EPLI...is now available to RBT business owners. EverGuard continues to lead the way with products that differentiates us from the traditional markets. Enter EverGuard. Focused exclusively on bar and tavern underwriting for over 40 years, we know the risks your clients face, and how to get you the coverage they need. For example, a recent survey of small business owners showed that most of them worry about employee claims. 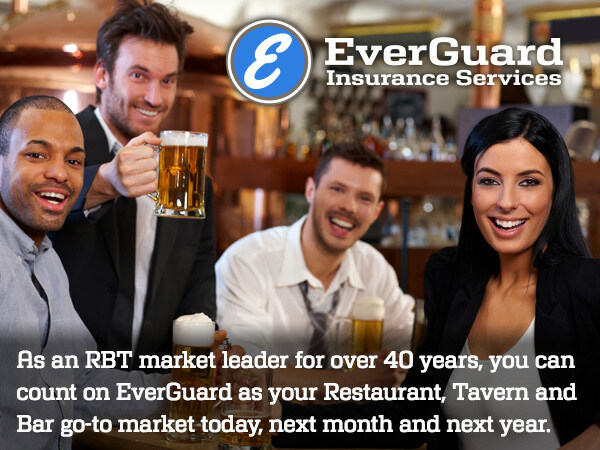 EverGuard can now offer your RBT clients EPLI coverage. Our streamlined, web-based application system lets you turn around comprehensive quotes from experienced underwriters in record time. We are appointing a limited number of agents that share our hospitality expertise. Contact us for more information on partnering with us today.